MET ONE air particle counters lead the industry in providing solutions to monitor air cleanliness in compliance with ISO 14644, FDA CGMP and EU GMP Annex 1. Portable, remote and handheld air particle counters are designed to easily integrate into your standard operating procedure (SOP) for cleanliness monitoring for aseptic fill, routine environmental monitoring, cleanroom and flow bench validation, and air filtration troubleshooting. Offering ISO 21501-4 compliance, MET ONE air particle counters are reliable, durable and easy to integrate into your 21 CFR Part 11 compliant workflow. Compact remote air particle counter for cleanrooms to provide accurate data in particle monitoring systems. In compliance with ISO 14644, FDA CGMP and EU GMP Annex 1. Scalable on-line particle monitoring solutions based on open architecture communications that integrate easily with your preferred systems. 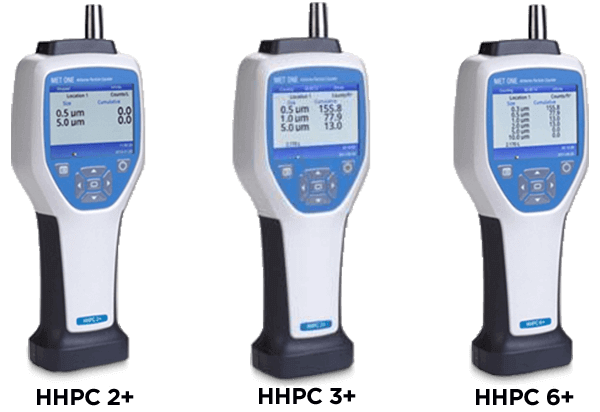 Handheld particle counters designed for cleanroom monitoring in regulated and semi-regulated production environments including food and beverage filling lines, hospital labs and precision parts manufacturing. Ethernet, USB, or cable for data transfer options. 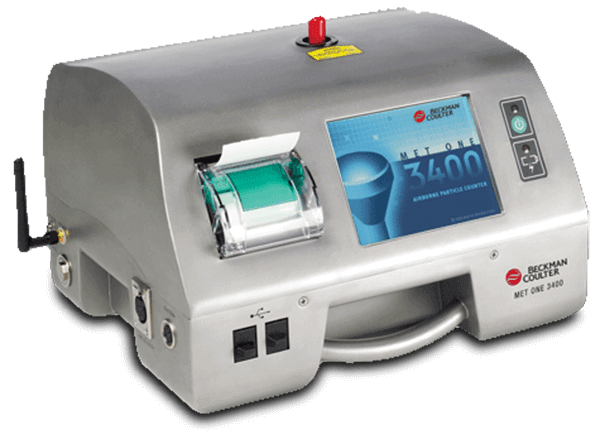 Remote air particle counter with rugged wash-down compatible enclosure. High accuracy non-viable particle monitoring for cGMP/FDA compliance. 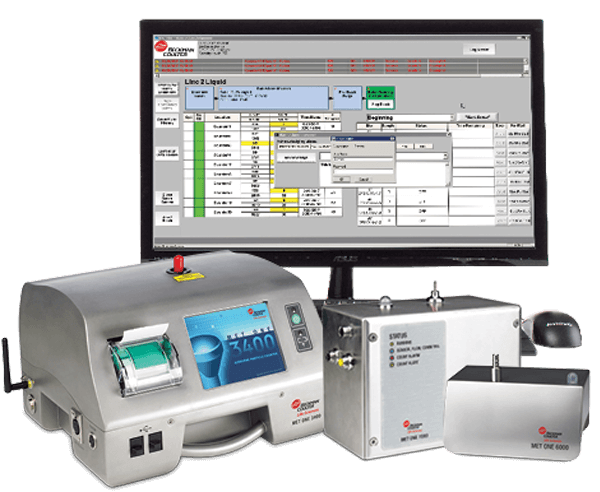 Pumped remote air particle counter pharma, semiconductor, hard disk drive & flat panel display cleanrooms. In compliance with ISO 14644, FDA CGMP and EU GMP Annex 1.